This is a pocket-sized survival guide. I keep one in my GnG bag, our cars, and our home. Very handy. In order of priority, this book is a guide for dealing with emergencies and survival situations. It covers the five core areas of survival: first aid, water, food, shelter and fire. Then it goes into the wide array of specific situations you may encounter such as: flood, earthquake, tornado, hurricane, tsunami, volcano, wildfire, heat wave, blizzard, drought, landslide, nuclear-biological-chemical incidents, terrorism, crime, riots, airplane and helicopter crashes, survival at sea, cold weather survival, desert survival, tropical survival, field expedient tools and weapons, emergency communication, dangerous plants and animals, and more. The goal is to have a quick reference in hand to get you through the emergency into a situation where you can thrive on the other end. 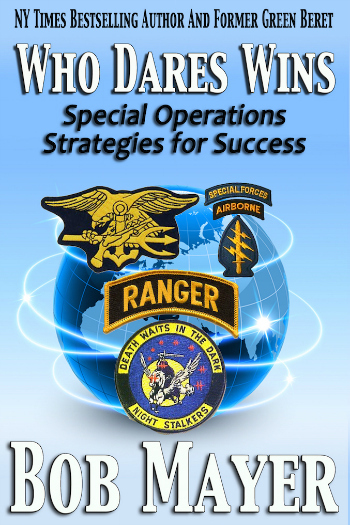 Special Operations Forces are the most elite and flexible units in the world. Green Berets, Navy SEALs, Rangers, Nightstalkers, Special Operations Wing: these are the warriors trained to perform beyond the ordinary and to make the impossible, possible. The author, a former Green Beret, takes you inside their shadowy world, laying out their history and lineage. More importantly, he delves into the mindset and training that makes them special. He gives strategic and tactical templates you can apply to yourself and your team. He uses narrative examples, both factual and fictional to illustrate his points. This book shows you how to Dare to be like the elite, sharing with you the secrets of success needed to conquer fear and succeed. 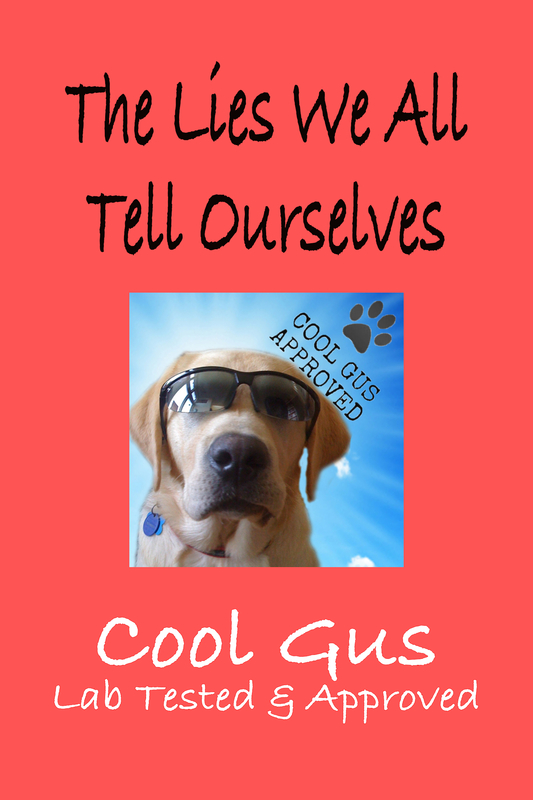 About the author: Bob Mayer is a NY Times bestselling author, former Green Beret and CEO of Cool Gus Publishing. He graduated from the Military Academy at West Point, served in the Infantry and Special Forces, commanded a Special Forces A-Team, taught at the JFK Special Warfare Center & School at Fort Bragg and served in other Special Operations assignments. He has over 70 books published with over 5 million sold and has been on the numerous bestseller lists including The Wall Street Journal, Publishers Weekly & US Today. In 2011 he made the leap from traditional to indie publishing and built a seven-figure business within 18 months. He is an international speaker and consultant. He has done interviews/appeared in/on the Wall Street Journal, NY Times, Forbes, Psychology Today, Sports Illustrated, PBS, NPR, the Discovery Channel, the SyFy Channel and others. Click Below and a Flipbook with all 39 task checklists and links will open up. turn pages using the arrow to the right. Also, links to free Survival Apps. Saying “sh!t happens” indicates events are random, have no meaning and there is no accountability or responsibility. It indicates such events could just as easily happen again and there’s nothing we can do about them. Book Two in the Stuff Doesn’t Just Happen: The Gift of Failure Series by NY Times Bestselling Author, West Point Graduate and former Green Beret, Bob Mayer. Covering the cascade events leading up to each disaster, why they happened, and how we can prevent similar disasters in the future. “My God, Thiokol. When do you want me to launch? Next April?” Senior NASA official on a conference call to the manufacturer of the solid boosters, when they recommended on the morning of the launch that it be postponed. “It’s dark here to write, but I’ll try by touch. It seems like there are no chances, 10%-20%. Let’s hope that at least someone will read this. Hello to everyone. There is no need to despair.” Captain Lieutenant Dmitri Kolesnikov, commander 7th Compartment (turbine room) Russian submarine Kursk. “If we arrive safe at Cairo it would be the greatest trip ever made on the western waters, as there were more people on board than were ever carried on one boat on the Mississippi River!” William J, Gambrel, first clerk & part owner of the steamship Sultana. “I am not prepared to be a tsar. I never wanted to become one. I know nothing of the business of ruling.” Nicholas II, last Czar of Russia. Every man-made disaster and catastrophe has at least six Cascade Events leading up to the final event, the catastrophe according to the Rule of Seven. Bob examines the Rule of Seven, and how human error plays a role in many catastrophes. Nothing happens in isolation or as a result of a single event. Thus, by learning from history, we can gain insight into preventing a similar catastrophe in the future. The key to the Donner Party were the numerous tipping points where the group failed to make decisions. Also, most people don’t know how many homicides were committed during this event! This is a quick read of the Cascade Events of the second greatest loss of life in the history of California: The St. Francis Dam. Bob examines the Rule of Seven, and how human error plays a role in many catastrophes. Nothing happens in isolation or as a result of a single event. Thus, by learning from history, we can gain insight into preventing a similar catastrophe in the future. William Mulholland, a self-taught engineer, brought water to Los Angeles, but he also brought a catastrophe in the form of the St. Francis dam which failed, killing hundreds. From the very land the dam was placed on, to its design, to the failure of Mulholland on the very day the dam would collapse when called by the worried dam-keeper, to see the pending catastrophe. This is one of many catastrophes that Bob Mayer, former Green Beret, West Point Graduate and NY Times Bestselling Author, examines in his series of shorts: The Anatomy of a Catastrophe. With over 70 books published and five million sold, Bob Mayer has been making a living as an author for over a quarter century. Writing a novel and getting it published: That’s your goal. And nothing will keep you from making it happen. Such a goal, of course, presents a number of challenges. Make sure you have the tools you need to overcome them and succeed. 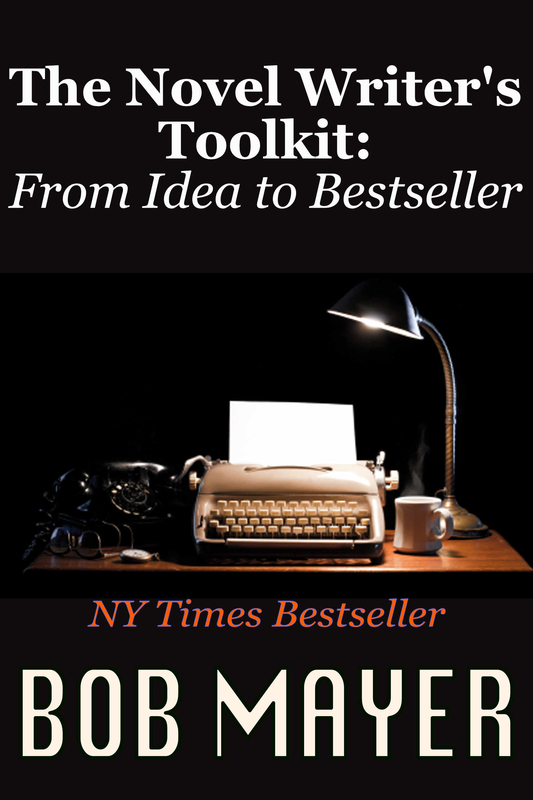 In THE NOVEL WRITER’S TOOLKIT, NY Times Best-Selling author Bob Mayer shares a veteran writer’s hard-won advice with a style that’s straight from the hip. He lays out the nuts and bolts of novel writing, along with guidelines for starting, finishing and revising your work. Self-contained chapters make it easy to focus on the just the elements you need. Take in the advice, sharpen your skills, and hit the ground running. Mayer provides all the reliable information and instruction you need to make your dreams of publication come true. What are you waiting for? THE NOVEL WRITER’S TOOLKIT ensures that you’re properly equipped for success! There is more to writing for a living than penning the book. You have run a business as an author. This is something that isn’t taught in schools or in the industry. This book bridges that gap. Write It Forward is a one-of-a-kind book focusing on you, the author. 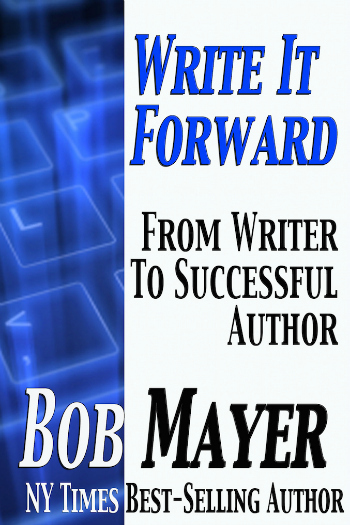 In Write It Forward Bob Mayer applies the time- tested strategies of the Green Berets to the world of being a successful author. He has taught thousands of writers over the years, but this new and innovative program probes deeper than words on the page. It is designed to teach writers how to think, plan and become the future best-sellers of the new age of publishing. The benefits you’ll gain from this book will extend far beyond your writing and reach into all areas of your life making dreams a reality. 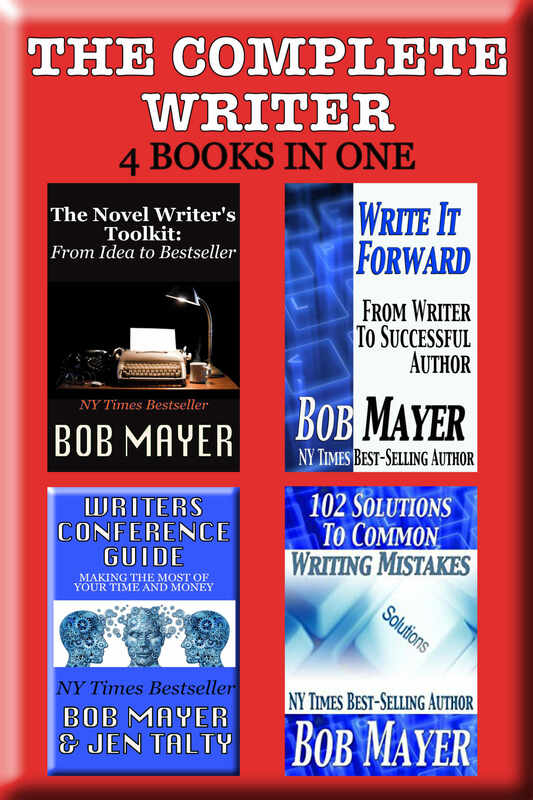 Bob Mayer has taught thousands of writers over the years through writer conferences, retreats and his own Novel Writing Workshop and now his innovative new Warrior Writer Workshop. One of things he’s noticed in may workshops is how the focus is always on the problems and mistakes writers make, but no one ever focuses on the solutions and how to correct these problems. 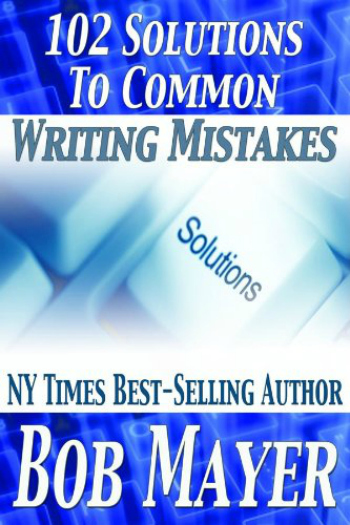 102 Solutions to Common Writing Mistakes covers not only the problems, but offers suggestions and solutions. Bob looks at the issues writers have with HABITS, IDEA, the STORY AND PLOT, the WRITING, the CHARACTERS, EDITING and REWRITING, SELLING YOUR WORK, and THE PUBLISHING BUSINESS. He breaks down the mistake, discusses why it’s a mistake, and how to correct it. Get it now on:AmazonAudibleGoogle PlayApple BookNook BookThe Writer’s Conference Guide is designed to helps writers reap the benefits from the time and money invested in a writer’s conference in order to obtain optimal results. The strategies laid out are taken from our collective experience as authors, presenters, keynote speakers and publishers. Our goal is to help every writer, published and unpublished, make their conference experiences the best they can be and achieve their career goals. 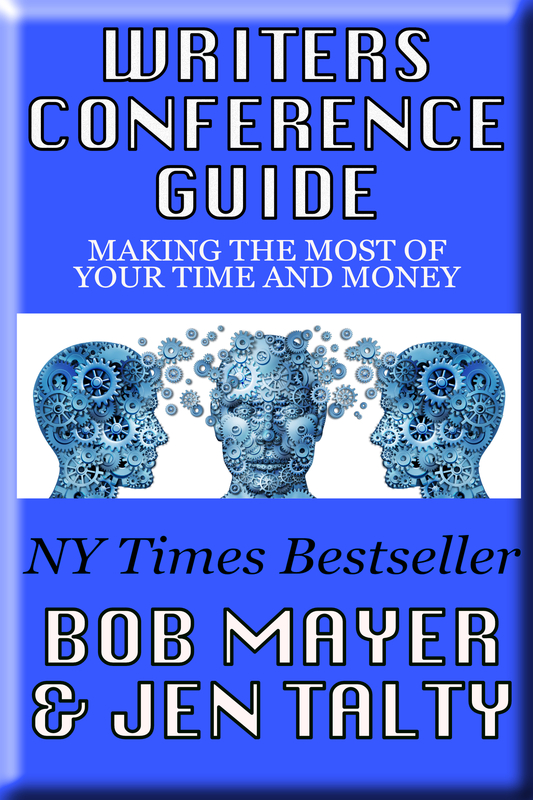 •How to find and pick the best conferences to meet your needs. •Tips on how to efficiently plan for the conference. •How to select the workshops that will benefit you the most. •How to socialize and mingle with those who can help your career. •Pitching techniques and tactics so you’ll be prepared for the opportunity to discuss your book. •Finally, we go over an After Action Review and Follow-up so every conference you attend is a great success. Checklists are included along with practical tips that will make your conference experience a valuable success.